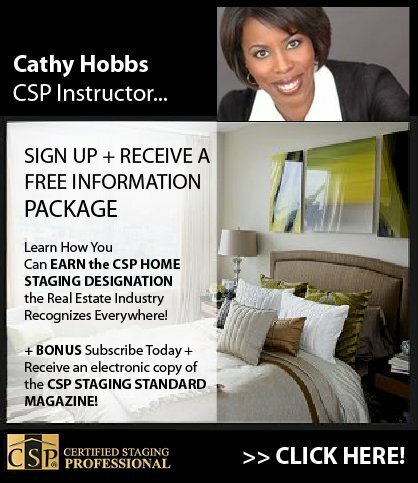 Celebrity Interior Designer/Stager Cathy Hobbs whose work has been featured on local and national television shows is now teaching the prestigious CSP Real Estate Staging Course! I became a home stager in 2005, after a number of real estate brokers I worked with on my interior design projects repeatedly mentioned how valuable they were to their business. I inquired about how to enter the field and decided to take a 3-day course that educated me on the profession and provided a wonderful roadmap so that I could add home staging as another extension of my interior design company. In 2005, in the middle of the real estate bonanza, I was instantly in demand! For me, home staging has been in many ways more fulfilling than some of my design projects. I am often working with a blank palette, trusted to create my own design vision and color scheme and am thrilled to see what always is a dramatic before and after transformation. Starting and building a home staging business is ideal for design enthusiasts, professional organizers, do-it-yourselfers, real estate brokers, and virtually anyone who has an entrepreneurial desire to have their own business and has an interest in real estate, interior design or decorating. When I was searching for a home staging training course, there was really only one course that stood out above the rest. The 3-day Home Staging Certification Course offered by Certified Staging Professionals. 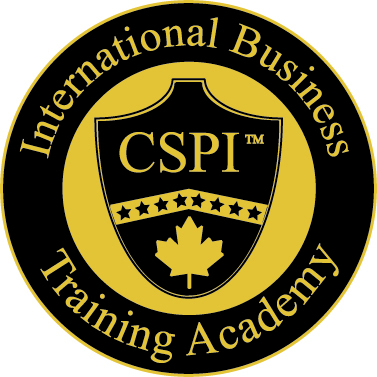 There are several courses currently being marketed, some offer similar 3-day courses, others are on-line, but the Certified Staging Professional Course (CSP) is the only course I discovered that provides not only the home staging training but the in-depth business knowledge that a new home stager needs in order to be able to not only start but succeed in the competitive world of home staging. The three day intensive course consists of two days of in class instruction, followed by a third day on site where staging students actually stage a property. Home stagers can charge anywhere from $75.00 an hour to $300.00, so for an avid marketer as well as someone with lots of contacts, the income potential can be tremendous. Just like with any other entrepreneurial endeavor, what one gets out of it is linked to what one puts into it. The first step to launching your home staging business must be letting everyone you possibly know that you are a home stager and available to help them sell their properties. Most people at some point in their lives will need to sell a property and that is where you will come in! What does it mean to be a Home Stager? Staging can mean a number of things as it relates to selling a property. It can mean anything from painting and minor repairs to obtaining rental furniture and furniture arrangement. As a stager you will want to build a “team” to help you execute these tasks. At aphereä, my team includes a design assistant educated at The Savannah College of Art and Design, one of the top design schools in the country, an Emmy-award winning set designer, and an additional expert stager and stylist. In addition to this, I also have at the ready an arsenal of tradespersons such as painters, contractors and movers who work with me and my team to flawlessly execute our stagings. Do I need to take a home staging course to become a Home Stager? Unlike interior design, there are no education requirements needed in order to become a home stager, in fact home staging is actually an unregulated industry. The question I would simply ask someone who is considering starting a home staging business, is why would you not seek training? It is hard enough starting an entrepreneurial venture, let alone, setting out on one’s own without the necessary tools and basic foundation. Taking a professional business course such as the Home Staging Certification Course offered through Certified Staging Professionals is the key to having the foundation and resources in order to set you on the proper path. The Certified Staging Professionals website as well as their expert staff and instructors provide a wealth of resources and knowledge as well as on-going support to help make your home staging business successful. I often receive calls from interior designers and aspiring home stagers requesting to shadow me and learn more about how I started my business. I am excited to be able to now share my knowledge and expertise as an instructor, teaching the Certified Staging Professionals Home Staging Certification course to aspiring home stagers across the country. Please contact me through my website at www.cathyhobbs.com, or you may contact Certified Staging Professionals directly and inquire about my courses and a free information packet. (www.stagingtraining.com) or (1.888.STAGING). Good luck. And Happy Staging!